Thanks all for sharing this info. The best answer I ever saw to this question was one Darth Stone once gave - being in the right place at the right time with a large fistful of money! Some early morning browsing on the Den, and I stumble upon this thread. Then I read this replay by Albatrossone. I have said this exact same thing to several people who have PM'd me about how to get a good Vader helmet. It also doesn't hurt to get to know the good people on the Den. Very interesting thread. Thank you for the info everyone. 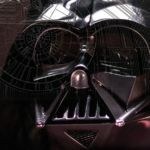 My journey into the Vader prop world has only just begun so I have a lot to learn, lol. That SL ANH helmet is definitely a thing of beauty though. I don't think I'd need any other helmet if I had one of those. There is a lot to love about this casting--sharpness, good geometry, great details but it is undersized which is a common complaint with Star Wars helmets. Is the TM smaller than the eFX? Might have to throw a little wrench in this in terms of ROTJ. The TM and GH ROTJ are beautiful - I don't know enough about the TM ROTJ other than it's a modified TM ESB. The GH ROTJ has the "ROTJ Look" when compared with what I see in the movie. 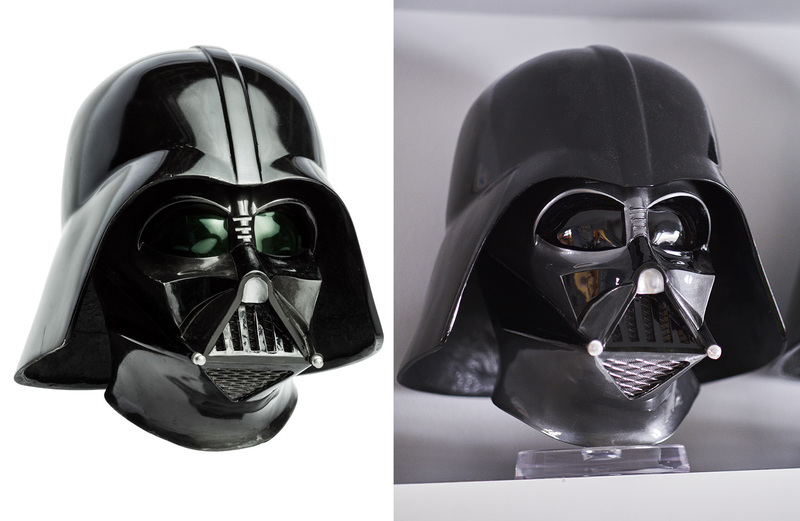 From what I understand, the GH ROTJ was cast from a mold of the screen used helmet. If I'm wrong hopefully someone will clarify - as I'd love to know. Still - it will come down to what line of lineage you prefer. Agree about the dome, but why you think it has a jedi faceplate. The pull was made during anything arround RotJ but the faceplate is AnH, isn't it? Cause of the GH RotJ i would also agree, it has that specifc jedi look. 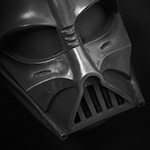 Post subject: THE BEST VADER HELMET. The GS faceplate definitely doesn't feel like it's a finished ROTJ faceplate - that's what I was getting at. It seems like the GS has a production faceplate prior to finishing for filming. I was of the belief the starting point of the ROTJ and ESB faceplates originated from the same (or similar) production mold. Or, did the production department take an ESB and modify it to the ROTJ helmet? I didn't think this was the scenario. Either way, I'm sure my comment was overly confusing before, and now it's likely worse. GH ROTJ next to the wired magazine ROTJ pic. They don't match perfectly, buy you get an idea. ...Kinda raises more questions, really. The GH dome clearly isn't as sharp as the original ROTJ. The wall thickness of the GH is also thinner than ROTJ (as it appears in this comparison). <---- definitely a debate for another thread. Last edited by craigjohn on Wed Feb 01, 2017 2:03 am, edited 1 time in total. Just looking at the photo comparison above - this does make me believe the GS ROTJ has the legs to be the best ROTJ out there. If that wired Magazine image is of the LFL screen used ROTJ helmet. ...just looking at the thickness/tapering of the edges around the mouth, I see distinct differences already. Some pics of my GH helmet.I love this helmet.